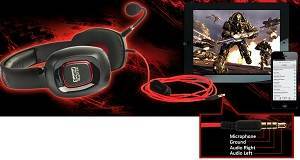 Creative Sound Blaster Tactic 3D Fury Gaming Headset by Creative at FloType. MPN: 70GH024000002. Hurry! Limited time offer. Offer valid only while supplies last. Experience Superior Audio No-holds-barred 3D gaming audio experience. Get amazing Digital 3D Surround Sound with the Dual Mode USB adapter. No-holds-barred 3D gaming audio experience. Get amazing Digital 3D Surround Sound with the Dual Mode USB adapter. 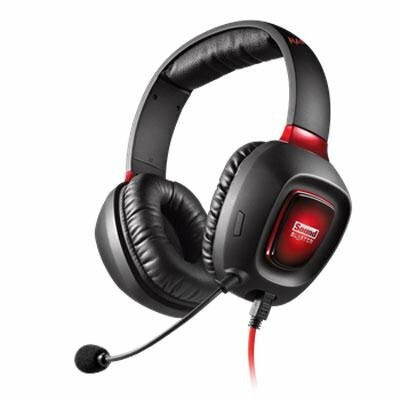 Experience superior audio with the Sound Blaster Tactic3D Fury, a high quality gaming headset that includes SBX Pro Studio advanced audio technologies that deliver powerful cinematic audio. Armed with the Dual Mode USB adapter and a dedicated software suite, gamers can experience amazing positional surround sound pumped through powerful 40mm drivers, along with Scout Mode1, a feature that allows users to hear enemies from further away for a distinct tactical advantage. The software also provides the freedom of full audio customization and custom profile creation. The headset includes a detachable noise cancelling microphone and a 3.5mm jack for use with smart devices - making this Dual Mode headset perfect for mobile communications as well! Experience a high-powered, no-holds-barred 3D gaming audio experience with massive bass and detailed highs. Like pillows for your ears. The ultra comfortable foam ear cushions are covered by a breathable fabric so you can have comfort without the heat. Unchain yourself from the limits of 7.1 audio. 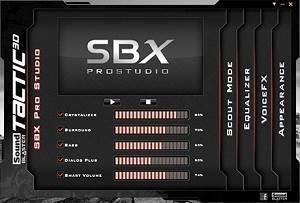 SBX Surround enhances 7.1 audio streams by positioning them in a 360 degree true-to-life sound stage. Hear your enemies from further away and gain a distinct tactical advantage in combat. Forge your own unique team identity or match your voice to your game avatar with this feature that morphs your voice into a wide variety of presets. Use the Dual Mode USB adapter with the Sound Blaster Tactic3D Control Panel to customize SBX Pro Studio technologies and get amazing Digital 3D Surround Sound. 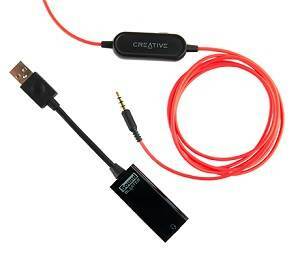 Or use the included smart phone cable to use with your mobile devices. 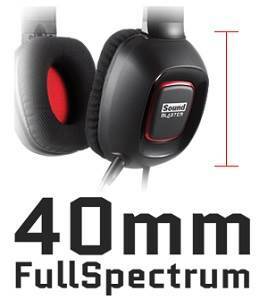 Sound Blaster Tactic3D Fury comes with an in-line volume control so that you can adjust your level of audio with ease. Not using the microphone? You can simply turn it off with a simple flick of the microphone switch. Sound Blaster Tactic3D Fury comes with a 4-pole 3.5mm connector, which is compatible with all media and entertainment devices with a 3.5mm plug. The 4-pole connector allows for stereo audio delivery as well as microphone input, via just one cable.